I’ll be happy to show you Berlin like you’ve never seen it before, but please come with your own group. Please make a reservation for your family, friends, colleagues or Berlin visitors. Right now you can choose between three topics in three destiantions. Guided city walk in the Bavarian Quarter (Bayerisches Viertel) which was built between 1906 and 1910. Looking for traces of the history of the Jewish population we find examples of every day life, poverty, escape, resistance and persecution. Albert Einstein lived here as well as Gisèle Freund. But many more whose names are not world famous today, struggled for survival or were eventually sent to the death camps. We will also have a close at how postwar WestBerlin dealt with remembering the atrocities and destroyed lives and how a Jewish community started after the end of Nazi Germany. This tour was designed with Dr. Gabriele Zürn and Dr. Alexander Ruoff. Our research was supported by the Leo Baeck Institute – Department for Teacher Education. Meeting Point is in front of the Volkshochschule at Barbarbarossaplatz 5, 10781 Berlin, the tour ends at Bayerischer Platz. Larger sections of Kreuzberg were destroyed in an air raid on February 3 1945. On April 27, the Red Army reached Hallesches Tor. A few months later, in July, Kreuzberg became part of the American Sector. We will look at the ruins and the need for improvisation, see how free media was established and how the people of Berlin tried to make a living in their destroyed city. At first, the allies of the Anti Hitler coalition had a common goal. But soon enough the Cold War emerged. Meeting point is at Blücherplatz 1, 10961 Berlin. The tour ends at Checkpoint Charlie. Guided city walk in Friedrichshain and Prenzlauer Berg. While Europe’s men are bleeding to death in the trenches between 1914 and 1918, the women at home are in charge of organizing and producing food. When food gets scarce in Germany in 1916, there are hunger riots. How did the people in the poor Eastern quarters of Berlin deal with the situation? How was every day life between the soup kitchens and a piece of low quality meat in from the slaughterhouse? 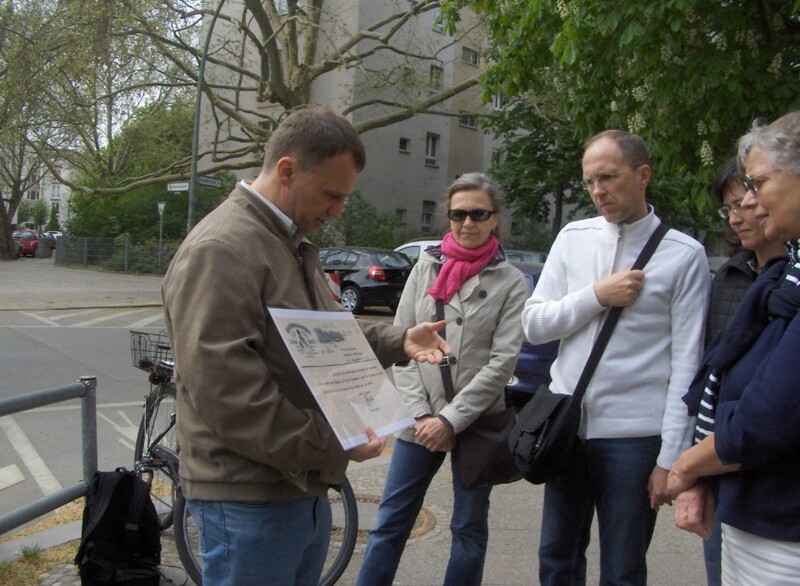 The tour starts at Frankfurter Allee and ends at the area of the former Central Slaughterhouse of Berlin, which was opened in 1881 and closed in the 1970s. Meeting point is the western exit of subway station Samariterstraße on the U5 (corner of Silvio-Meier-Straße), the tour ends at S-Bahnhof Storkower Straße (circle line). Prices: Groups up to 5 participants pay 60 Euros for about 2,5 hours, every other participant 12 Euros. 10 to 15 participants: 120 Euros. Larger groups on request. Due to traffic noise and little space no more than 20 participants in a tour are recommended.